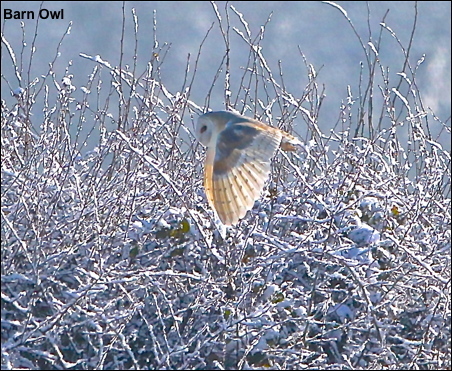 Well not quite a true Snowy Owl but a Barn Owl hunting in the snow. When this winter started I never thought that I would be in a position to photograph local Barn Owls during the day let alone take photos of one hunting in the snow. Nothing is predictable in wildlife and you never know when they will revert back to nocturnal hunting and my photo opportunities are gone. More recent photos of the Barn Owls are shown in this weeks gallery.